According to a new study by the Illinois chapter of the U.S. Public Interest Research Group, at least six of the state’s largest 11 cities have recycling rates below the national average of about 35 percent. 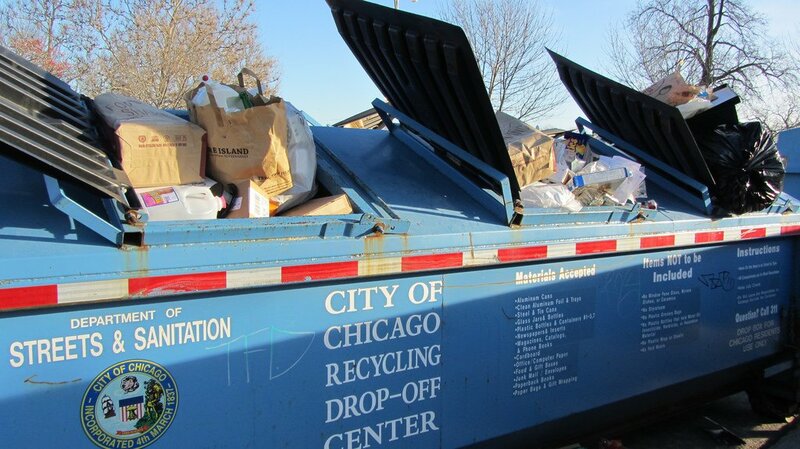 As part of its study, “The State of Recycling in Illinois,” the nonprofit collected and examined recycling data from the past three years for some of Illinois’ most populous cities. Chicago’s recycling rate of 9 percent in 2017 (the most recent data available) was the worst, but none of the other cities had rates above 30 percent. Because of a lack of required reporting for cities and other jurisdictions, Illinois does not publish an overall statewide recycling rate, according to Illinois PIRG. The study’s release on Nov. 15 coincided with America Recycles Day, an initiative of the nonprofit Keep America Beautiful that aims to promote and celebrate recycling throughout the U.S. Recent changes in international trade – namely, China’s refusal to continue importing plastic waste – presents Illinois and other states an opportunity to expand their recycling economies by investing in better collection, sorting and reprocessing systems, such as those once provided by China, according to Illinois PIRG. In its report, the organization recommends that cities adopt so-called “SMART” collection systems (Save Money And Reduce Trash) that charge waste-disposal fees based on a household’s volume of recyclables, which provides incentives to reduce and reuse materials. The group also advocates for expanded curbside compost collection and increased recycling access for multiunit apartments and businesses.